TV presenter job: How to get one for yourself? TV presenting jobs are in great demand these days in the UK. Most people who are interested in acting and are aspiring to make their career in TV are trying to be a TV presenter. TV presenting jobs promise instant fame and popularity as TV shows are being watched more than ever by a large number of people in the UK. Add to this the good amount of money that is paid to the TV presenters by productions houses/producers. Before you start looking for the TV presenting jobs, decide whether you want to be a TV presenter in a dance show, a music competition, cookery show, action series, or entertainment series. Your choice should basically depend on your key areas of interest and your knowledge. Being a TV presenter in a show whose subject interests you, would allow you to give your best shot. You would thoroughly enjoy doing the show and it would not appear like a mundane-job to you that you are doing for the sake of money. Further, if you have adequate knowledge on the subject on which the show is based, you can really help make the show a big success. Once you have decided what kind of TV presenter job suits you, you must do some homework. Gather as much information as you can about the subject or theme of the show. For instance, if you want to be a TV presenter for a dance show, read about the various types of dances, about the speciality and peculiarity of each dance type, the kind of dresses and make-up that compliments the several dance forms, and so on. If you can be a subject matter expert, you can increase your chances of getting the TV presenter job you are applying for. 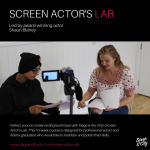 Casting agents and TV producers look for those people who are knowledgeable and give them a sense of security that they can efficiently handle the show even if there is no written script. In addition to gaining knowledge, you must also work on your looks and appearance. You must talk impressively and confidently. You should be able to pick words that sound interesting and talk in such a way that you are able to hold back the viewers/listeners to your show. Remember, TV presenter job brings with it the responsibility of making the show a success. And, you must give confidence to your casting auditions producer/director that you have the charisma to make their show popular. Now, look for casting auditions for TV presenting job or ask your casting agent if they can help you find TV presenter job. You may also visit www.castingnow.co.uk to find TV presenter jobs in the UK.